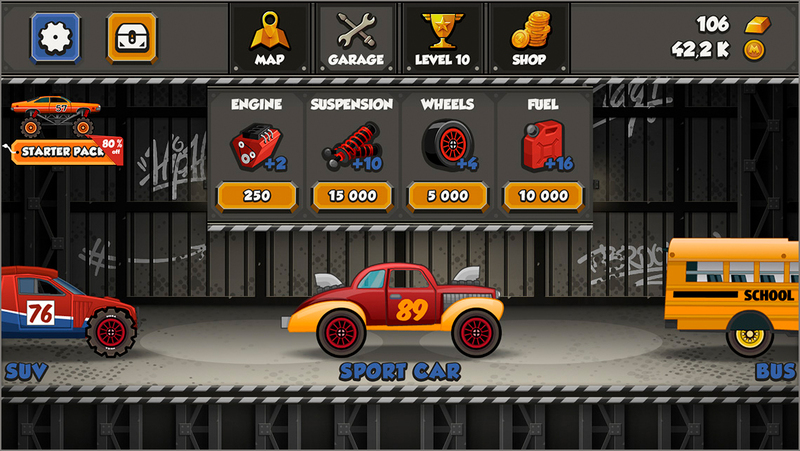 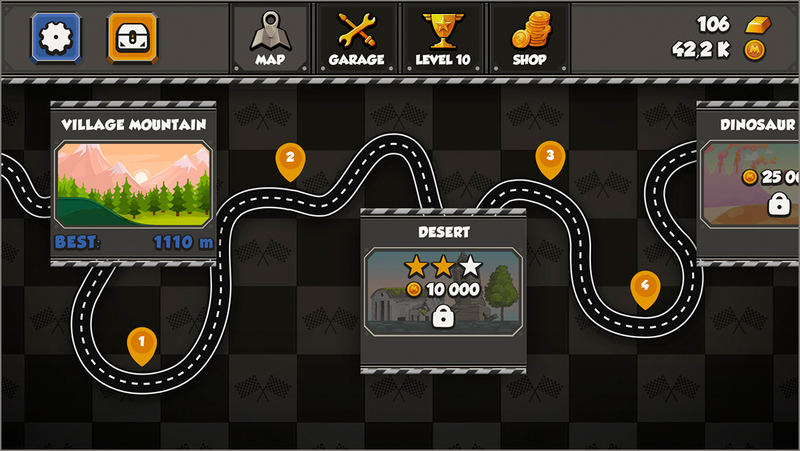 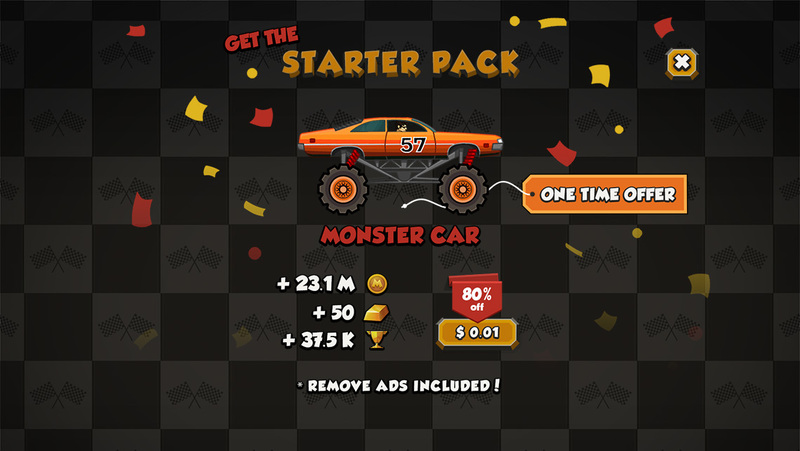 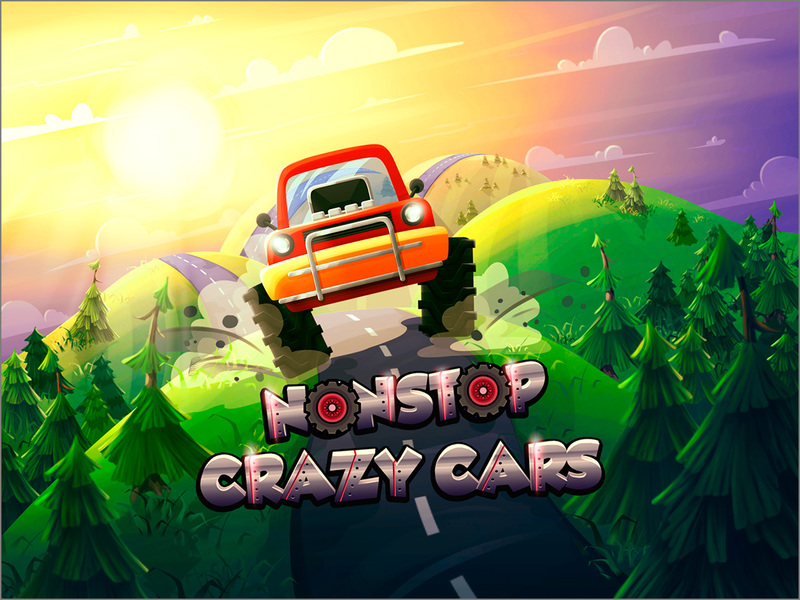 A full stack GUI develop for a new racing game Nonstop Crazy Cars in casual style for IOS and Android for Mega Games. 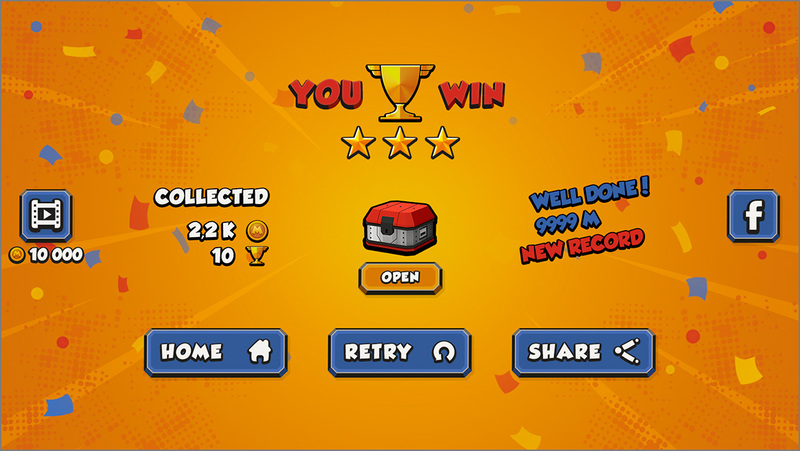 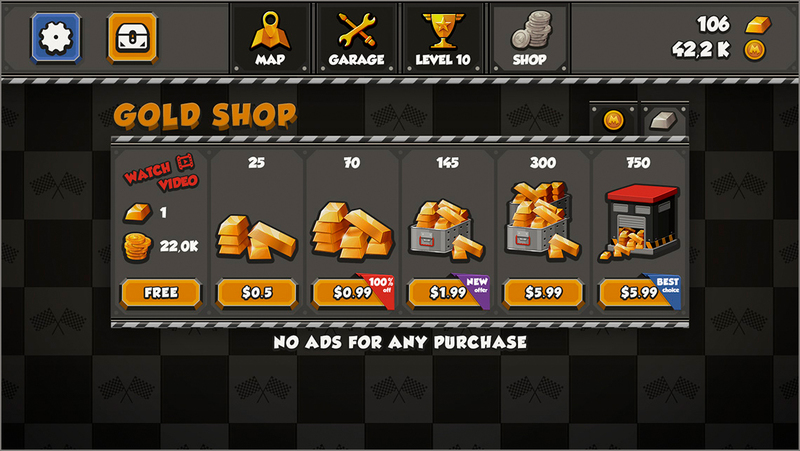 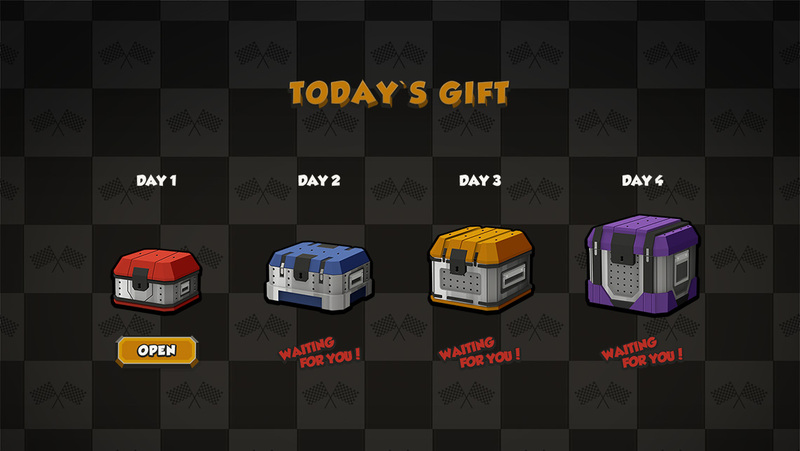 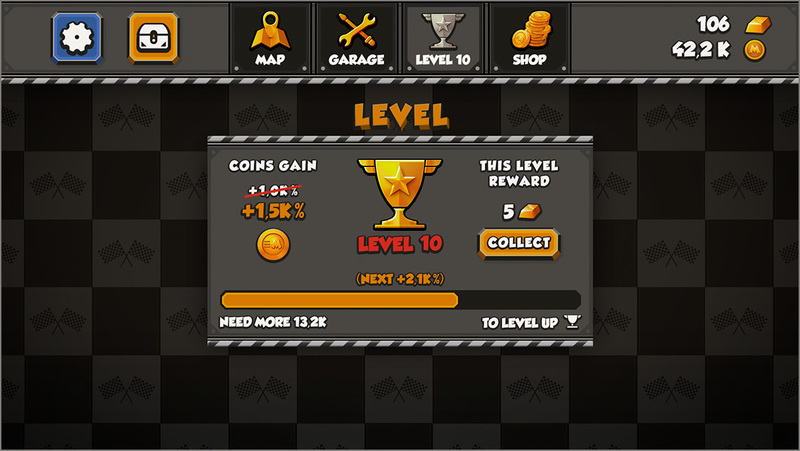 Including in game GUI, map, shop, icons, props, promotion materials and other game graphic. 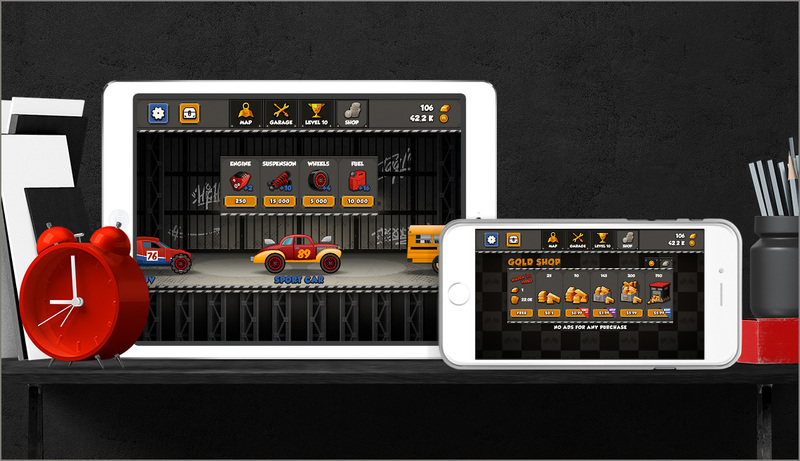 Developed in Photoshop for all mobile devices and published for IOS and Android.